John Jacob Aster was a man of first in the United States, and he wasn’t even born here. A German immigrant who spent his teenage years in England, Astor eventually emigrated to the US after the Revolutionary War. Astor moved to New York in March of 1784. He was following his second brother Henry, who had made the trip before and started a butcher shop. 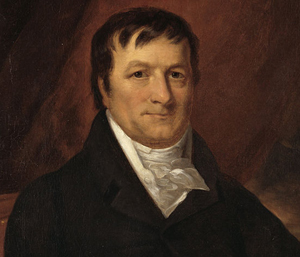 By 1788, Astor had broken out on his own and gotten into the fur trade. The Jay Treaty, which was used to avert a second Revolutionary War, played an important role in the growth of his business. One of the provisions of this treaty involved England withdrawing its forces from the Northwest territory. England had already recognized that land as American land, but occupied forts in that region anyway. As those forces cleared, Astor was able to move into Canada and the Great Lakes Region. He made a fortune from fur trading and pivoted to real estate when he saw demand decline. Astor began his real estate investments with holdings by the New York waterfront. He foresaw a boom in the area, and slowly made his way inland to buy up properties there too. He bought considerable holdings from Aaron Burr, who had been disgraced following the illegal duel and murder of Alexander Hamilton. At the time of his death Astor was the wealthiest man in the United States, noted as America’s first multi-millionaire, and he had created the first trust in the United States.